The Subaru Forester is a crossover SUV that was introduced back in 1997 by the Japanese manufacturer. The range shares a platform with the popular Subaru Impreza and is currently on its fourth generation. Fitted with a rugged and tough styling, the range is well built with a strong exterior that is capable of driving on any terrain. With a practical body style, the vehicle holds a spacious interior with plenty of space for the driver and any passengers. 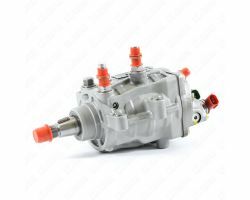 Available with a choice of petrol or diesel engines, each are offered with their own power outputs. The 2.0 litre diesel engine is a favourite buyer choice, delivering a reasonable economy as well as a strong performance that is capable of performing even on rough terrain. In all, the Subaru Forester is a successful range with strong diesel engines, a tough exterior and excellent practicality, ideal as a family car.